Fantastic functional true 1 bedroom with large balcony equipped with BBQ gas line! Take in the sunrise with clear east views. 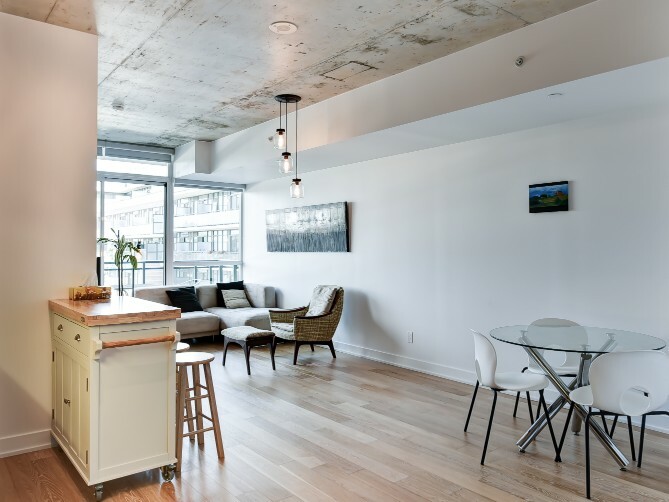 Engineered hardwood floors throughout, bright floor to ceiling windows, gorgeous exposed concrete ceilings and very large balcony! Located in the heart of uber trendy Leslieville. Incredible access to the DVP, QEW, & Queen Streetcar!